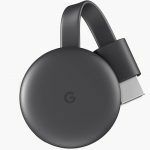 The third generation of Google Chromecast may launch as early as next week, hinted the checkout counter at a Best Buy store. The versatile link between a standard HDMI LED / LCD TV and an Android smartphone was not updated for almost three years. Interestingly, along with the Chromecast, Google is rumoured to release the eagerly awaited third generation of Google Pixel smartphones. Google has been readying the third iteration of Chromecast. A recently filed FCC listing clearly indicated a few but important upgrades. However, the model accidentally made it into the hands of a buyer at Best Buy. 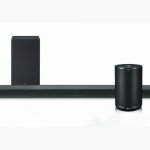 Interestingly, the sales-folk at the consumer electronics megastore inadvertently allowed the buyer to purchase the as-yet unannounced online streaming content facilitator. The buyer has been kind enough to post his observations about the aesthetics and design aspects of the latest Chromecast. Reddit user GroveStreetHomie claims he found the 3rd-Gen Chromecast on the shelf at their local Best Buy. Interestingly, the cashier couldn’t prepare a bill. Apparently, the SKU had been withheld by the system for an October 9th release date. In other words, Best Buy had received stocks of the latest Chromecast, but the store was not allowed to put them up on shelves or sell them. Evidently, Google is still sticking to the micro-USB port to power the 3rd-Gen Chromecast. Moreover, the device in its currently available format has a simple but highly useful magnetic strip that allows sticking the Chromecast either to the TV or to itself, thereby, assisting in cable management. This nifty aspect is missing as well. Google has clearly made some fundamental design changes to improve the aesthetics. 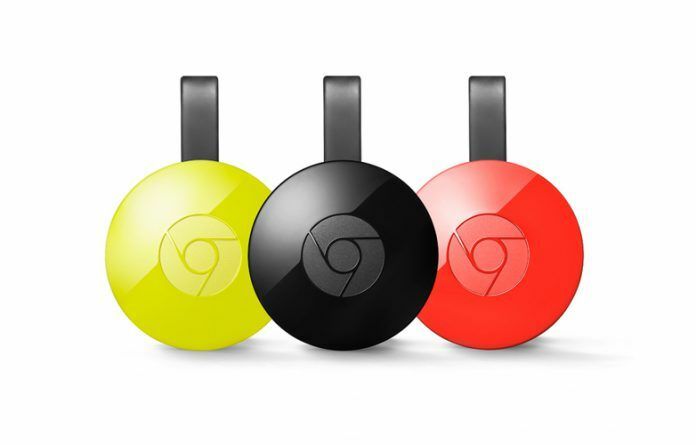 The current generation of Chromecast is glossy, and bears the Google Chrome logo. However, the new version ditches the logo in favour of a simple ‘G’, which clearly represents Google. This could mean Google may infuse a lot more functionality than presently available. This could significantly boost the appeal of the device against its increasing competition. The latest generation of Google Chromecast has some serious upgrades. 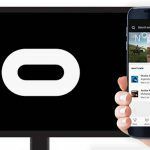 However, they are limited to a few specific hardware components only. Interestingly, the current model packs a Bluetooth chip. But Google is currently limiting its usage to initial setup process only. Sadly, users cannot activate Bluetooth after the setup process is completed. 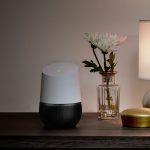 Interestingly, Google could be working on a software update that would allow existing Chromecast users to enable this functionality. However, the 3rd-Gen Chromecast is a different story altogether. The Bluetooth component in the new model requires a new equipment code (DSS) not covered by the original certification for FCC ID A4RNC2-6A5. In other words, Google has applied and must have already secured a new FCC ID. 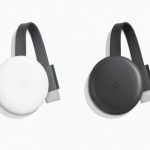 In simple words, the Bluetooth module within the new Chromecast may have better coverage and the ability to hold a consistent connection after the initial setup process. As for the “little thicker” aspect, the new Chromecast offers improved Wi-Fi reception with 5GHz networks. The extra thickness houses an improved 5GHz PCB antenna trace. This allows the 5GHz antenna on the new Chromecast to jump from 2.1 dBi to 4dBi gain. Needless to mention, the high dBi antenna can offer a significant boost in data throughput, allowing users to stream high definition content without worrying about hardware bottlenecks. The current generation Chromecast with streaming resolution at 1080p sells for about $35. The 4K model sells for around $70. In India, the 2nd-Gen Chromecast sells for around Rs. 3,399. Apparently, the new model will cost the same. Don’t Miss: Google Pixel 3 XL Pink Color Variant Codenamed ‘Sand’; Mint Green Variant Not in Plan? According to the Best Buy checkout counter, the store can officially sell the 3rd-Gen Chromecast starting October 9. We expect the model to arrive in India soon. Moreover, Google could announce the latest Google Pixel 3 and Pixel 3 XL smartphones on the same date.